Not sure who would win in a cage match. I’m guessing the JGG. He could just squish that doughboy into the cage and that would be that! 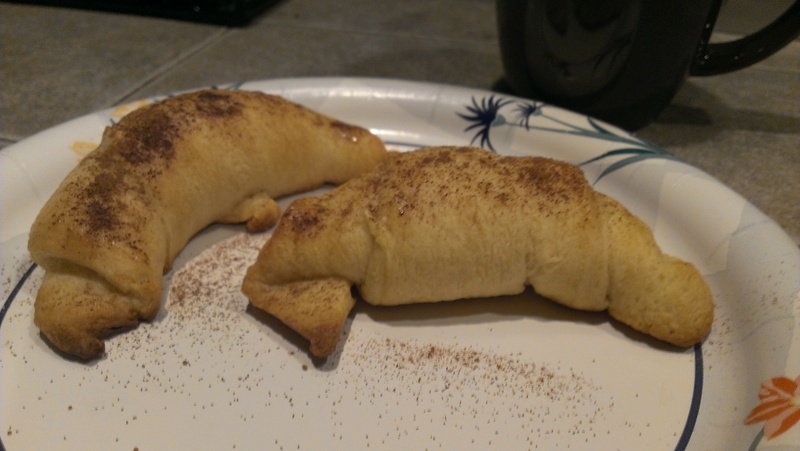 Never thought of making cinnamon crescent rolls. Hmmmm!! It had never crossed my mind, either. They were really good sweetened up this way!